Tax avoidance generally describes legally permissible conduct, whereas tax evasion connotes intentionally fraudulent designs. Helvering v. Gregory, 69 F.2d 809, 810 (2nd Cir. 1934), aff’d, 290 U.S. 465 (1935). The IRS concedes that “any attempt to reduce, avoid, minimize or alleviate taxes by legitimate means is permissible.” Internal Revenue Manual 9781, at §412 (Jan. 18, 1980). “One who avoids tax does not conceal or misrepresent. He shapes events to reduce or eliminate tax liability and, upon the happening of the events, makes a complete disclosure. Evasion, on the other hand, involves deceit, subterfuge, camouflage, concealment, some attempt to color or obscure events, or make things seem other than they are.” Id. (IRS Manual). After trying to define the distinction between tax avoidance and evasion the IRS creates two tracks for tax investigations. A tax payer may be liable for civil fraud or criminal fraud (or both). And the government uses the Civil division for one investigation (Revenue Agents) and the Criminal division for the other (Criminal Investigation Division “CID Agents”). To further complicate matters the two investigations often intersect and/or run parallel courses. 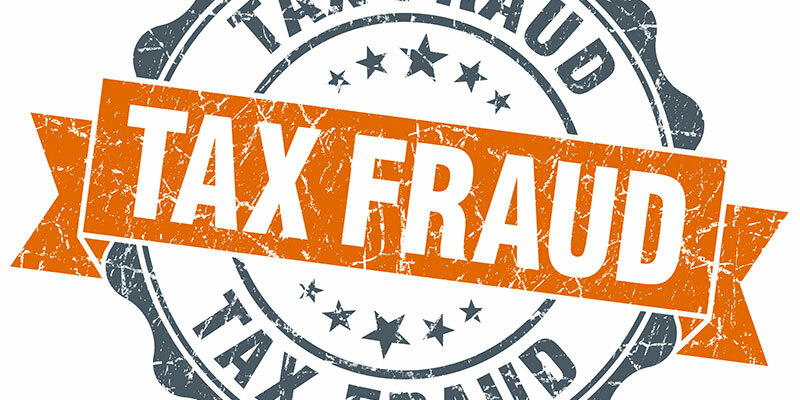 For our purposes the key difference between civil and criminal tax fraud is that in a criminal case the government must prove fraud beyond a reasonable doubt. Holland v. U.S., 348 U.S. 121, 126 (1954), and civil fraud requires proof of clear and convincing evidence. 26 USC §7454(a). The Internal Revenue Code (Title 26 USC) and Title 18 of the United States Code are full of various criminal penalties applicable in tax cases; however, almost all criminal tax investigations and prosecutions concern five statutes … four felonies and one misdemeanor. This is the tax evasion statute and 26 USC §7201 makes it a felony to willfully attempt to evade or defeat the assessment or payment of any tax. The Supreme Court has stated that §7201 includes two offenses. One: the willful attempt to evade or defeat the assessment of a tax and Two: the willful attempt to evade or defeat the payment of a tax. Sansone v, US, 380 US 343, 354 (1965). Thus the statute may be broken down into two types of evasion which approach the same end and are essentially different ways to commit the same crime. If a person transfers assets to prevent the IRS from determining his true tax liability, he has attempted to evade assessment; if he does so after a tax liability has become due and owing, he has attempted to evade payment. US v. Mal, 942 F. 2d 682, 687-88 (9th Cir. 1991). There must be an attempt made by the defendant. Often this is the filing of a return where the act of evasion is inherent in the return itself. However, other acts of deceit designed to avoid tax liability can be used. Double sets of books, nominee recipient of income, false statements to an agent etc. The act, of course, must be done willfully. Willfulness is defined for criminal purposes in all tax crimes as a “voluntary, intentional violation of a known legal duty.” US v. Pomponio, 429 US 10, 12 (1976). Simply stated, §7206(1) makes it a crime for a person to sign his or her name to a tax return, if the person has in mind that the return is false as to a material matter. The person signing the return does not have to be the tax payer it could be an officer of a corporation. This is the “tax perjury” statute in a criminal lawyer’s lingo. The maker falsely subscribed to the return, statement, or other document willfully, with the specific intent to violate the law. The question of what is a “material matter” is a jury determination that is still somewhat undecided. For years “a material matter” under this statute was considered a matter of law and decided by the court. However, in US v. Gaudin, the Supreme Court decided in a false statement case (non-tax), that as an element of the offense, materiality should be submitted to the jury. US v. Gaudin, 515 US 506 (1995). The Second Circuit has limited the submission of materiality in certain tax cases creating a split in the circuits. US v. Klausner, 80 F.3d 55, 58-61 (2d Cir. 1996). One court has described this section as the Internal Revenue Codes “aiding and abetting” provision. US v. Williams, 644 F.2d 696, 701 (8th Cir. 1981). I refer to it as the “H&R Block statute” as tax preparers are most often the target of prosecution under this law. It should be noted that under this statute there is no requirement that the document be signed under penalty of perjury, also, a tax deficiency is not a legal prerequisite under 26 USC §7206(2). US v. Smith, 424 F.3d 992, 1009 (9th Cir. 2005); US v. Ambort, 405 F.3 1109, 1117 (10th Cir. 2005). This statute includes the dreaded misdemeanor offenses of failure to file a tax return, pay your taxes, keep your records and/or supply information to the IRS. The Internal Revenue Code describes who is required to pay a tax. 26 USC §6151(a). The difference between an attempted evasion of payment and failure to pay a tax is the existence of an affirmative act required to make out the evasion of payment offense, i.e. the concealment of assets or use of nominees etc. for example. The refusing to pay taxes due, failure to file a tax return, or possession of the funds needed to pay the taxes, without more, merely constitutes a willful failure to file returns or pay ones taxes. This does not constitute tax evasion even though done willfully. If the tax payer failed to file a tax return, an evasion case can be maintained only if the taxpayer also willfully engaged in affirmative acts to conceal or mislead. US v. McGill, 964 F.2d 222, 231 (3d Cir. 1992). Willfulness requires a strict necessity for the government to prove an ability to pay, thereby avoiding imprisonment for debt. Spies v. US, 417 US 492, 498 (1943). Generally the filing requirement imposed on taxpayers is based on the receipt of a specified amount of gross income. The term “gross income” is broadly defined as income from “whatever source derived.” 26 USC §61(a) (Internal Revenue Code). And the amount of gross income received before it triggers the necessity of filing a return changes periodically. As a general rule, the government has a policy of three consecutive years of a failure to file before the Department of Justice will approve a failure to file charge. The government need not prove that any taxes are due, but only that gross income requirements have been met so as to trigger the filing requirement. Us v. Wade, 585 F.2d 473, 574 (5th Cir. 1978). The last two offenses, Failure to Keep Records and Failure to Supply Information, follow the same general format as the first two. The criminal tax statutes in the Internal Revenue Code do not include a statute for the crime of conspiracy. As a result, the government prosecutes tax-related conspiracies under 18 USC §371, the general conspiracy statute. Title 18 USC §371 sets out two types of conspiracies: one a conspiracy to commit any federal offense and two the Klein conspiracy. US v.Klein, 247 F.2d 908 (2d Cir. 1957), cert. denied, 355 US 924 (1958). The Klein conspiracy or conspiracy to defraud the United States applies to tax cases. The requisite intent to defraud or to commit the substantive offense. This offense presents the most formidable weapon in the tax prosecutor’s arsenal because of its breadth. Unlike the crimes defined in title 26 USC (The Revenue Code), the Klein conspiracy does not contain an element for willfulness. 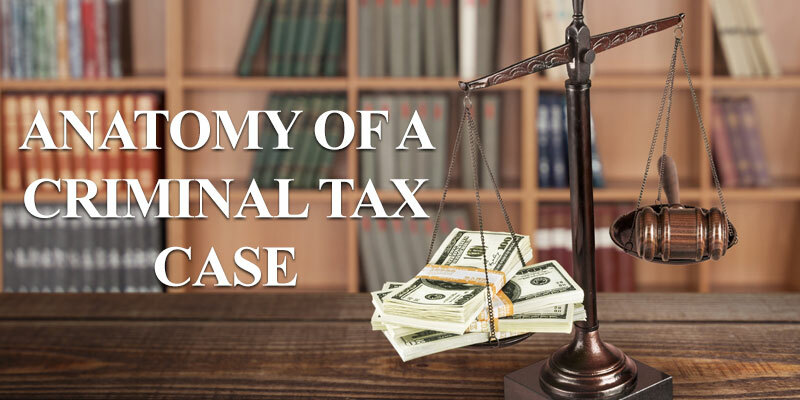 We will discuss the proof and some case law as to all five of the Big Five Tax Crimes as well as the inner workings of an IRS investigation in part two of this blog.